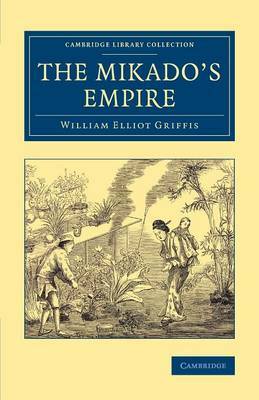 A respected authority on Japan, William Elliot Griffis (1843-1928) did much to foster understanding between the United States and Japan in the late nineteenth century. This was his most popular work on the subject. It is arranged in two sections, with maps and illustrations throughout. The first part is a detailed history of Japan from 660 BCE, covering factual events as well as mythological elements of the Japanese past. This is followed by a personal account of the four years Griffis lived in Japan, during which the country underwent significant modernisation. Highly successful, the work went through twelve editions following its initial publication in 1876. It is reissued here in its second edition of 1877 and features improvements, such as the addition of content in the appendices and footnotes, made in response to comments by critics. Giffis' Corea, the Hermit Nation (1882) is also reissued in this series.